The Minnesota Vortex and Minnesota A's are excited to launch the 2018 / 2019 Seasons! The Minnesota Vortex is our 14U program. All 14U teams play under the Minnesota Vortex Name. Those Players graduating from our Minnesota Vortex 14U programs will be eligable to tryout for our Minnesota A's program which has teams at 16U and 18U. MN Vortex and MN A's Really Making Their Mark! Minnesota Vortex and Minnesota A's players will again be populating college ball fields all over the place this fall and spring! The Vortex program has consistently produced high level ball players who have gone on to play at dozens of colleges. We are proud of our alumni! This years marks a first for the program. The Big Ten freshman of the year Maddie Houlihan, the Minnesota Gatorade Player of the year, Carlie Brandt and Ms Minnesota Softball Katelyn Kemmetmueller have all worn the Minnesota A's jersey! 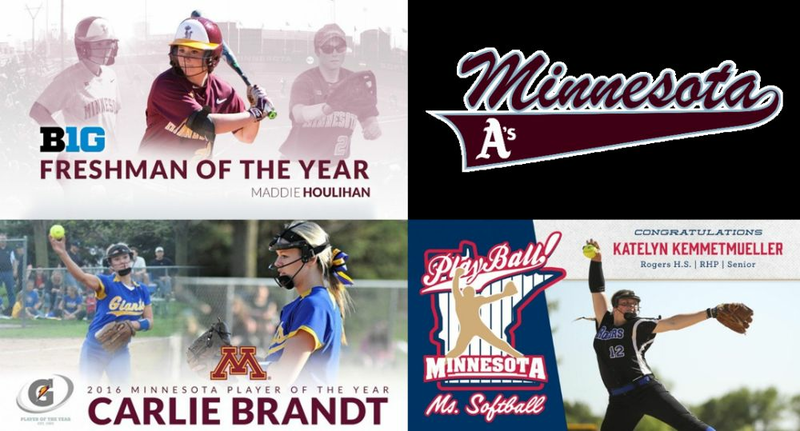 Several other Vortex / A's players were also nominated and were finalists in the room for both the Gatorade and Ms Minnesota Awards, this makes the Minnesota A's / Vortex program well represented for the highest honors in the State! The MN Vortex 99 team traveled and played in the ASA/USA National Tournament in Chattanooga, TN. 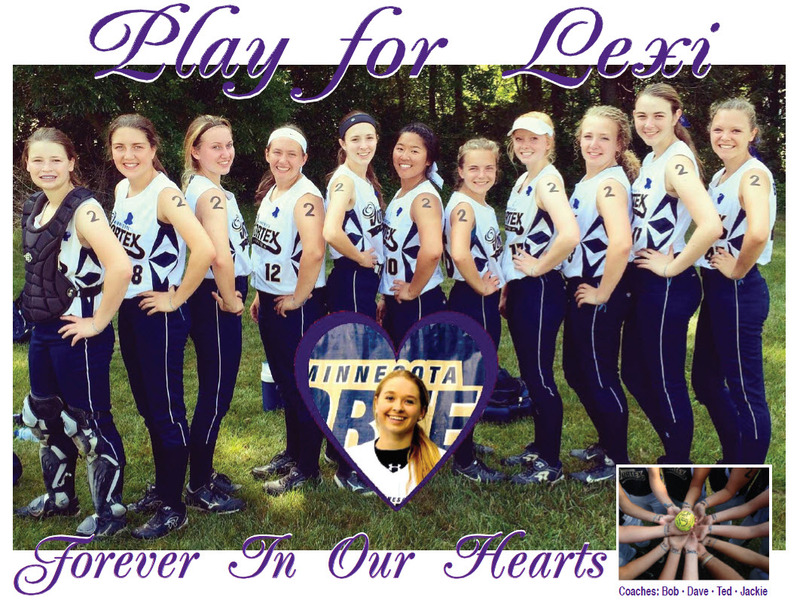 They miss their teammate and friend Lexi Kretsch who left us too soon...but they Play for Lexi.